The closure in Augusta was one of nearly two dozen across the northeast; company officials cite shifting demographics and customer preferences as reasons for the closure. 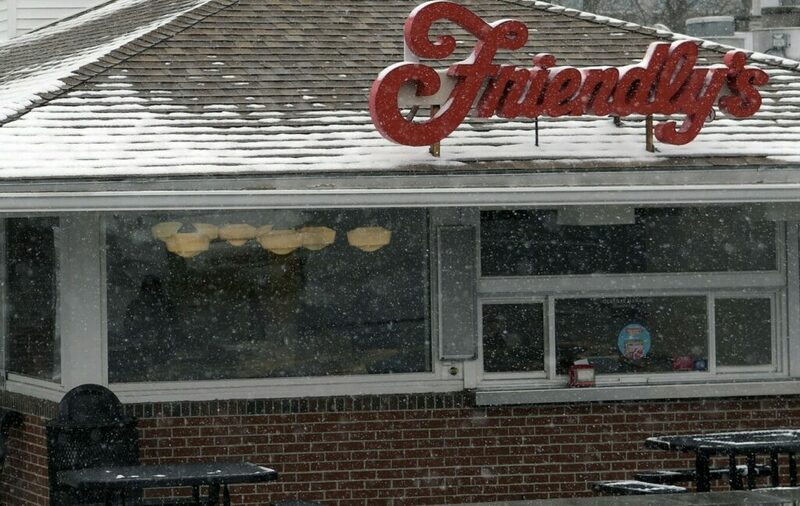 AUGUSTA — The lights were on but the doors were closed Monday at Friendly’s at 48 Western Ave., after corporate officials announced the closure of 23 corporate-owned restaurants in the northeast. No one at the restaurant Monday responded to a request for comment; they referred media inquiries to an email at the Friendly’s corporate office. Employees were apparently given no advance notice of the closure, but company spokeswoman Hannah Arnold said via email that employees were informed personally. “The company is working to support them with opportunities at other locations or severance payments or other assistance,” she wrote. In a letter that went out to franchise holders Monday, George Michel, Friendly’s chief executive officer, said shifting demographics, consumer preferences, increased competition and rising prices are the challenges the company now faces. The Augusta restaurant was the only location in Maine closed by the company. According to the company’s website, it was the northernmost Maine location. Two other Maine locations — in Windham and South Portland — remain open. Elsewhere in the northeast, two restaurants in New Hampshire, three in Massachusetts, three in Connecticut and 14 in upstate New York were also closed Monday. The fate of the property was unclear on Monday. Property records on file with the city of Augusta show the property is owned by Augusta Plaza Associates, a limited liability company. 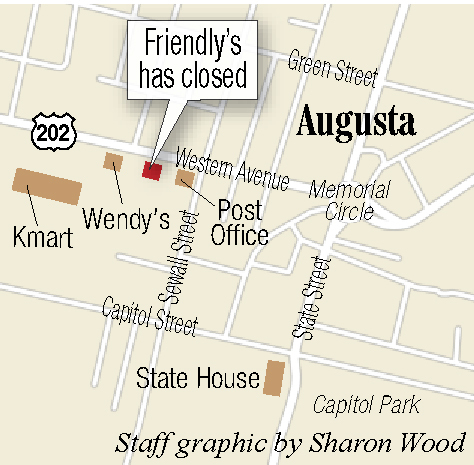 This closure is the latest change to restaurants on Western Avenue in Augusta. In January, Bagel Mainea changed hands as longtime owners Marianne and Kevin Butak sold the restaurant to Chris Low and Lucinda Stephens. In February, Aroma Joe’s opened its first Augusta location at 205 Western Ave. Pizza Hut recently opened a location at 215 Western Ave. with a smaller footprint than the restaurant had at 65 Western Ave., which has closed. The Taco Bell, at 230 Western Ave., which replaced a Tim Horton’s at that location, recently opened up under new ownership after it and three other Taco Bell locations in Auburn, Biddeford and Portland, closed abruptly in January. Pizza Degree, at 265 Western Ave., which opened at the end of 2015, has closed and the property is listed for sale. Friendly’s was founded in 1935 in Springfield, Massachusetts, as an ice cream shop at the height of the Great Depression by brothers Prestley Blake, 20, and Curtis Blake, 18, according to the company’s website. A second shop in West Springfield and the addition of food followed in 1940. By 1951, the company had 10 restaurants in western Massachusetts and Connecticut. By 1975, the headquarters had relocated to Wilbraham, Massachusetts, and the company operated 500 restaurants in the northeast and mid-Atlantic states. News accounts show that in 2011 the company filed for Chapter 11 bankruptcy protection and closed 63 stores. Thirty-seven more stores closed in January 2012, when the company emerged from bankruptcy protection. In 2014, according to news reports, the company’s 14 restaurants in Ohio were closed.